Minneapolis-based OLSON is acquiring Toronto, Canada–based MyThum to create OLSON mobile, an industry-leading mobile marketing discipline that will serve clients across North America. 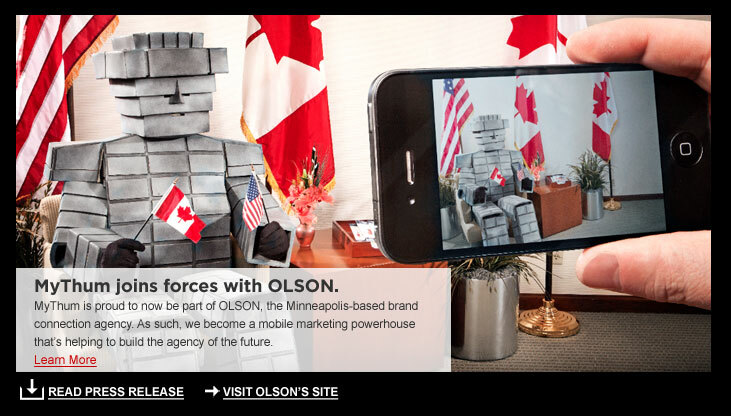 MyThum’s agency business is now known as OLSON mobile. MyThum is a 30-person full-service mobile marketing agency that connects brands to communities through mobile devices. Through proprietary technology, access to wireless networks and deep understanding of how people use mobile devices, the company develops and executes mobile strategies for clients to engage, interact and build lasting relationships. MyThum’s co-founder Michael Carter will serve as the discipline’s new president, and will remain based in the agency’s Toronto office. Together, the new OLSON mobile boasts a combined client list in Canada and the U.S. that includes existing OLSON clients such as Target, Capital One and Bauer Hockey, and MyThum clients like MolsonCoors, Live Nation, Ontario Lottery Group, Ford, Atlantic Lottery Corporation and Sony. This is the first international acquisition for OLSON, and comes on the heels of the agency’s December 2010 acquisition of Dig Communications. The purchase is the latest move in OLSON’s vision to create the agency of the future—a holistic agency that provides a wide set of solutions to clients, yet offers deep vertical expertise for those looking to specialize. “MyThum was ready to accelerate its growth, and this opportunity came at a great time. We are looking forward to combining efforts with OLSON,” says Michael Carter, co-founder of MyThum and new president of OLSON’s mobile discipline. 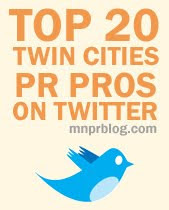 “We are delighted to be part of this outstanding agency and look forward to being the architects of groundbreaking digital programs for clients—present and future. MyThum also operates a successful Canadian gateway business that connects text messaging applications to Canadian wireless operator networks for various third-party clients. That business will retain the MyThum brand.